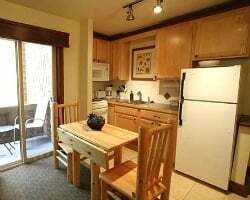 Discover classic retreats to the Idaho mountains each year with an Elkhorn in Sun Valley timeshare. Find timeshare units at the resort at prices up to 70% off retail costs today! What’s My Elkhorn in Sun Valley Timeshare Worth? Retreat to the Rocky Mountains to find a vacation experience unlike any other! Elkhorn in Sun Valley timeshares exist to provide you with a peaceful and comfortable vacation destination any time of year. 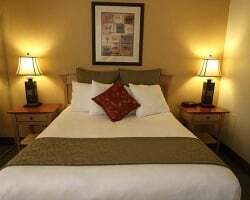 Discover quaint homelike accommodations that include fireplaces, full kitchens, laundry machines, outdoor living spaces, multiple bedrooms, and more to ensure you and your group have everything you need to enjoy your time in Idaho. On-site, you'll find a wealth of amenities on the resort's property, such as a golf course, tennis courts, owner lounges, community parks, swimming pools, and so much more. 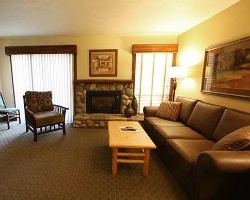 Discover the way vacations are supposed to be with your very own Elkhorn in Sun Valley timeshare! What's more, you can get the same high-quality timeshare experience at the Elkhorn for thousands less than what others pay! Timeshare resales at the resort give you the opportunity to save as much as 70% off retail costs, which could potentially result in thousands more left in your pocket! Fill out the form on this page to learn more, or contact a representative directly at 1-877-815-4227. With an Elkhorn timeshare, you may be able to exchange your ownership through organizations like RCI or Interval International. With a separate exchange membership, you can trade your timeshare in Idaho to vacation in destinations beyond Sun Valley each year. Deposit your timeshare and receive a week of vacation at another affiliated resort, or receive points to make finding alternative vacation solutions easier than ever. Sun Valley, Idaho is home to magnificent mountain views and wonderful year-round things to do and see. In the midst of this, the Elkhorn in Sun Valley resort offers plentiful accommodations and stunning on-site amenities to give you an amazing vacation experience every year. Located close to famed Ketchum, Idaho, the Elkhorn puts you in proximity to amazing ski slopes, hiking trails, and plenty of opportunities to explore one of the most beautiful places in the country.The resort itself is close to luxury golf courses as well. At the bottom of Dollar Mountain is the Elkhorn Golf Club, featuring a Robert Trent Jones-designed course perfect for days out on the links. 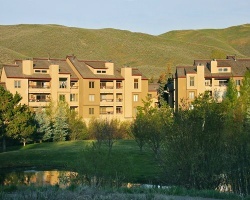 Already Own at Elkhorn in Sun Valley?